1 Commercial Real Estate & Properties in Budgewoi are listed in 1 categories. We have 1 Other Commercial PropertiesSale . Freehold available upon request. This is a perfect business for someone looking for the ultimate sea change or an investor wanting a brilliant return–on–investment. There are approximately 700 permanent placements getting weekly lessons and also a massive scope for expansion and growth. 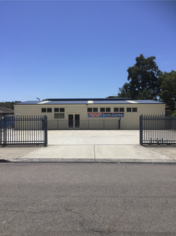 LOCATION: CENTRAL COAST – NSW BUSINESS FOR SALE AND/OR FREEHOLD. The NSW Central Coast is one of the most sought after areas for people looking to escape the rat race and experience their own idyllic sea change. This swim centre is perfectly located, being only a 50 metres from a beautiful lake, 100 metres from lifeguard patrolled beach, popular hotel, retail shops and cafes only 100 metres from beach. If you love sun, water and sand and want to earn a sensational living, this learn to swim business is for you. This swim centre includes a fully indoor heated 3 lane pool, with seated viewing area, amenities and kiosk. There is onsite parking on a very large block that is ripe for expansion or redevelopment depending on the vision of the new owner. The site location is in a commercial / residential zoning area. There is a specialist “U/V system” installed to aid significantly the reduction of chloramines which can cause allergies and rashes. The U/V system disinfects and purifies the pool for ideal swimming and spectator comfort, hence no nasty chlorine fumes. In conjunction with the UV system is an installed electronic chlorination dosing system which monitors the pool chemical levels continuously to ensure optimum water quality. The sale also includes all plant, operations and equipment plus our extensive client database. As mentioned before there are approximately 700 permanent placings in our swim centre. We have built an exceptional reputation and enormous goodwill among swimmers, parents and locals alike. Turnover is in excess of $440,000 per annum, yet we only operate 35.5 hours per week and only 42 weeks per year. A new owner can instantly create additional income by extending the hours of operation. Current classes include: private lessons, parent/baby, learn to swim groups, stroke correction, mini squads, competition squads, aqua fitness and public swimming. These can easily be expanded by a new owner to provide additional income streams. This is the first time offered. It is the perfect combination of property investment with a long established, very profitable swim school. When you combine the sensational economics with the perfect location, it is an unbeatable proposition. Here is the opportunity to escape the big city and really enjoy your lifestyle. Please call the number above for an obligation free discussion.